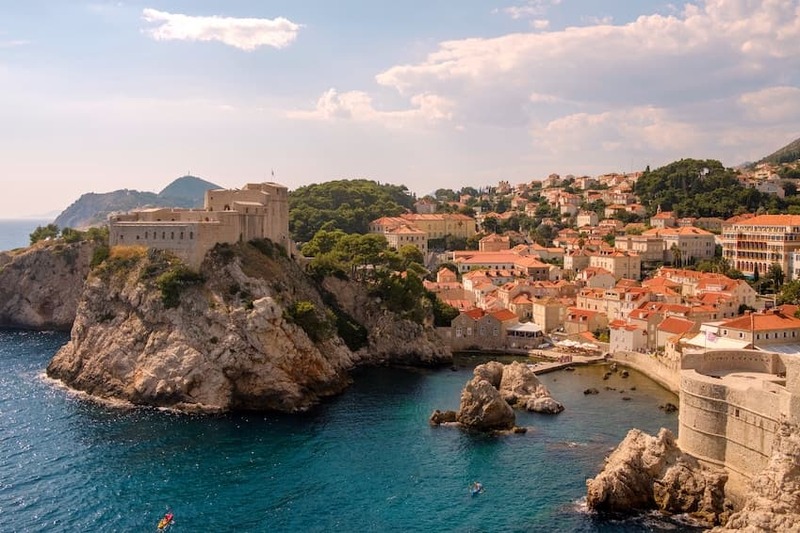 Dubrovnik has been well on the radar since the first game of Thrones first used its beautiful winding cobbled streets, strong and harbors at the shooting locations for the fictional King's Landing. However, its popularity does not detract from the prevailing charm of the Croatian city. Dubrovnik, from gargoyles surrounded by superstitions to the sea, with the stars in the Adriatic for a moonlight swim. Here are the places in Dubrovnik that will make your escape as enchanting and extraordinary as any fantasy. The ancient city walls of the Old Town of Dubrovnik are what makes the city so iconic and instantly recognizable, quite possibly from your television screen. These walls stretch for 1,940 meters and have 6 fortresses dotted along the length. You can walk along this snaking building, admiring the views of the terracotta roofs and bustling squares below you, and the island of Lokrum and surrounding jewel-like ocean to your side. It'll take you 2 hours to walk its entirety! 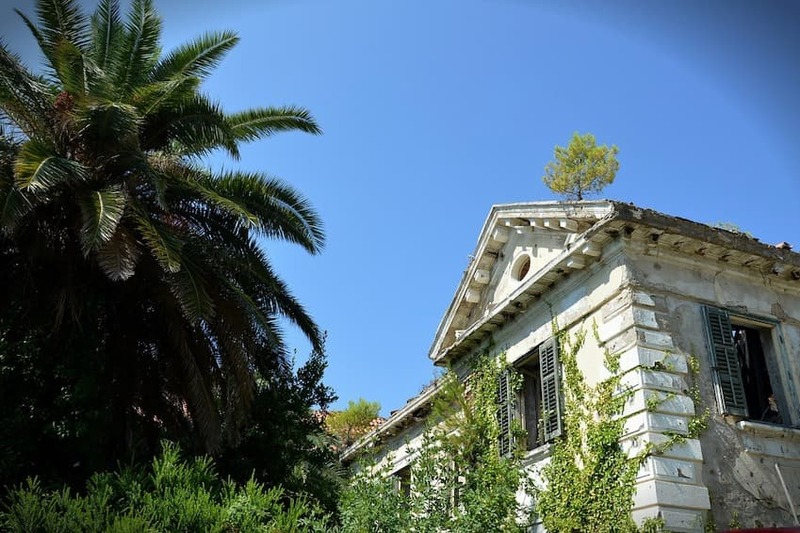 One of the most interesting buildings in Dubrovnik, however, is the abandoned Belvedere Hotel. 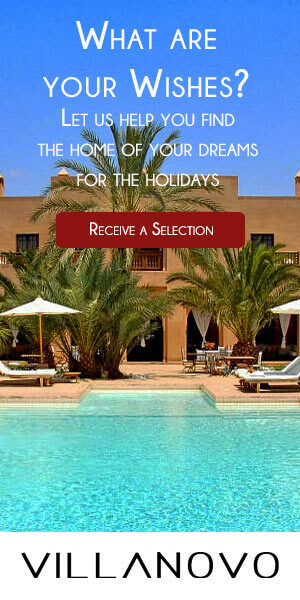 It was an operational luxury hotel for only six years at the end of the 20th century, opening in 1985. The luxuries included more than 200 rooms, a glass elevator to take guests directly to the beach, a private dock and helipad. The Croatian War of Independence then took place, where you will find the walls of the magnificent building. Bordering the sea, it's its open air amphitheater that will delight all Game of Thrones fans, as it was the setting for one of the pivotal scenes at the end of the fourth season. Belvedere plans that will open in 2021, so hurry to see this place before the glitzy transformation takes place! From a colossal hotel to something that could not be missed altogether: the small mascaron at the entrance to the Old Town. A mascaron is a face, normally humanesque, carved into a building with the purpose of scaring away evil spirits. Local superstitionsay that if you jump up on this stone head, balancing on the face of the wall while removing your shirt and putting it on again, you will find luck in love. Have a go at mastering balance, or just find a fun in watching others try! 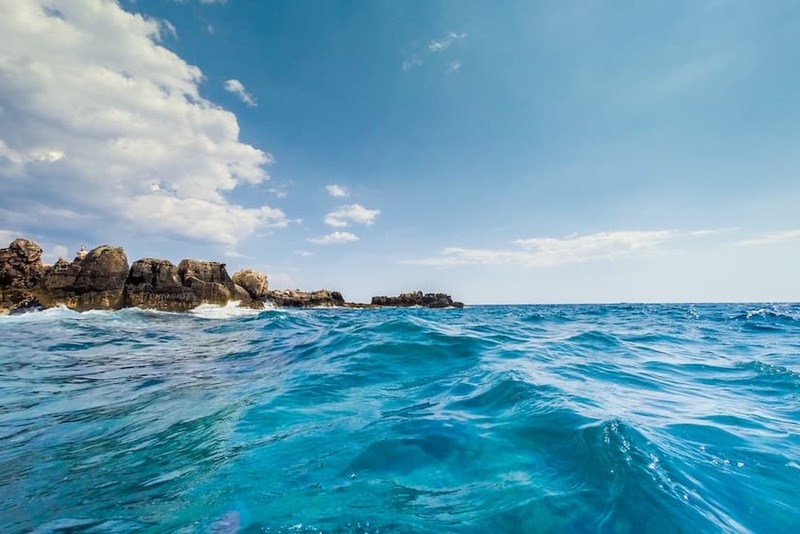 The waters surrounding Croatia are absolutely exquisite, of a deep and clear sapphire blue, and you are not going to venture out of the city to dive into them! In fact, you can jump straight from the walls surrounding the Old Town, then go back to the magnificent construction as you float in the calm waters. There are many iron ladders that feed into the sea from the walls, making getting out very easy. Another way to explore the city by kayak, which offers a truly unique and exciting perspective. You can kayak around the walls, to the green pines, cypress and olive trees of Lokrum island or to the spectacular beach of Betina, which is only accessible from the sea. Pull up your kayak then jump into the water for a deliciously refreshing swim. One of the most stunning beaches in Dubrovnik is Sveti Jakov, which can be found in the eastern part of Dubrovnik Town. In the distance you can see the Old Town and Lokrum, beyond the turquoise belt of water drops to a deep ultramarine, fringed with smooth pebbles. This is a favorite beach among locals! There is a picturesque bar and restaurant here, so you can easily spend hours swimming , resting and refreshing . For one of the oldest beaches in the city, and one of the most famous, head to Danče Beach. Rather than having sand or pebbles, this is a big jetties and rocks. The water is deep so it is safe for thrill-seekers to jump from the rocks! Arrive in the early morning to have this paradise all to yourself. Finally, for those willing to travel just 30km from Dubrovnik, you will be rewarded with one of the most breathtaking beaches in all of the Adriatic. Pasjača beach was actually formed from the surplus stones when tunnels were created during World War Two. Konavle cliffs Over time, the waves broke down the rocks to produce the beautiful beach at the base of the towering. When you have such an incredible geological location, where do you go from here? 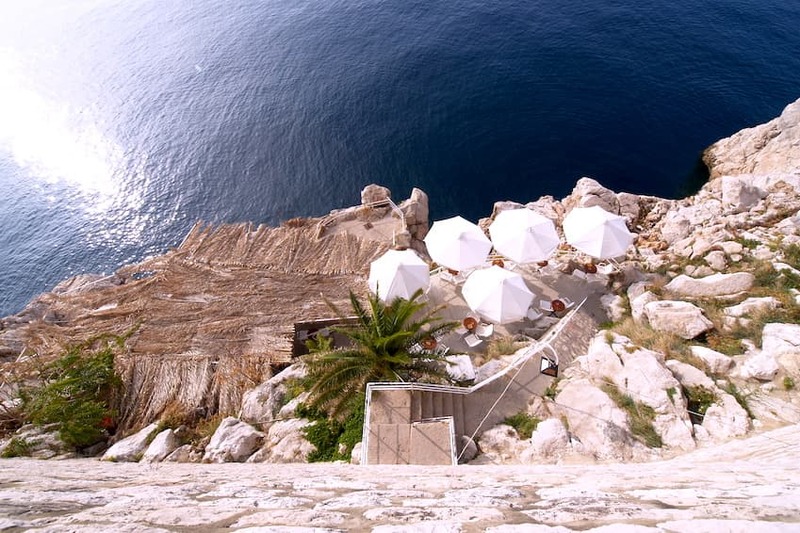 Buža bar is one such place that takes full advantage of Dubrovnik's topography, where buža means 'hole in the wall'. The bar is Actually Situated on the ocean side of the city walls, so you get an unbeatable view of the looming walls Above as well as lovely ocean views , and it's the only bar in the city HAS That this unique perspective! Sip on a cool drink, grab a snack, then jump from its walls into the deliciously inviting water! Also on the water, Dubrovnik's coolest club is Lazareti, and is within a building that was once used as a quarantine! It's been completely over the top of the world. Both Indoors and Outdoors, Attract the best DJs from Across the Globe Throughout the Summer. Lazareti is a must for fans of electronic music, or for those who are curious about a night in an unusual setting. It also hosts foreign film showings and performance art; a truly dynamic space. A little outside of the city, after about 20 minutes' drive, you'll find the Pirate's Social Club in Mlini, a picturesque bar where all the furniture looks like a wooden chests and is a pirate ship. The shaded shelter is provided by a roof of giant dried palm leaves, and the whole bar is perched right up on the white rocks to a few meters from the lapping waves. Sip on one of their fantastic cocktails, seashells on the sunset and the ocean sounds, dreaming of a life on the sea. Then head to the most dazzling places in Dubrovnik: Cave Bar More. It is somewhere that can be visited at any time of day, for a morning coffee, afternoon refreshment, or for nighttime drinks. The most interesting part of the bar is inside the cave, which glistens with a ceiling of shimmering lights, and is set to several levels of textured stone walls and floors connected with modern staircases. There are even tables within stalactite chambers, raised on a glass platform. You will feel like you are within a movie villain's secret air! When you're ready to go again, there's a postcard-perfect waterside terrace with lots of seating to breathe in the fresh sea air . For a view of the orange tones of the city roofs, the best view is undoubtedly from Mount Srd, or the cable that stretches up to it. On the coast of Dubrovnik coastline. It is a fortress in the city, which is a testament to the resilience of a group of defenders that held strong in the 1991 attack on Dubrovnik, despite being largely outnumbered. Young and old alike will be blown away by the panoramas as you ascend Mount Srd, which the more energetic can also decide to hike up! Another spectacular elevated view can be found at Park Orsula, which is 200 meters above the sea. It's an amazing sight both during the day and at night, but the latter is particularly magical with the reflections of the city and the lights of the ship and harbor, all under a starry sky. Some bands are using this stage, which is a remarkable experience. In Dubrovnik, this passion is upheld in the realm of cinema, at Jadran cinema. This is only working during the summer season, and has a very scenic location within the city walls. Cinema Slavica is another visually stunning outdoor cinema, with screenings beginning at sundown and seats laid out on grass. 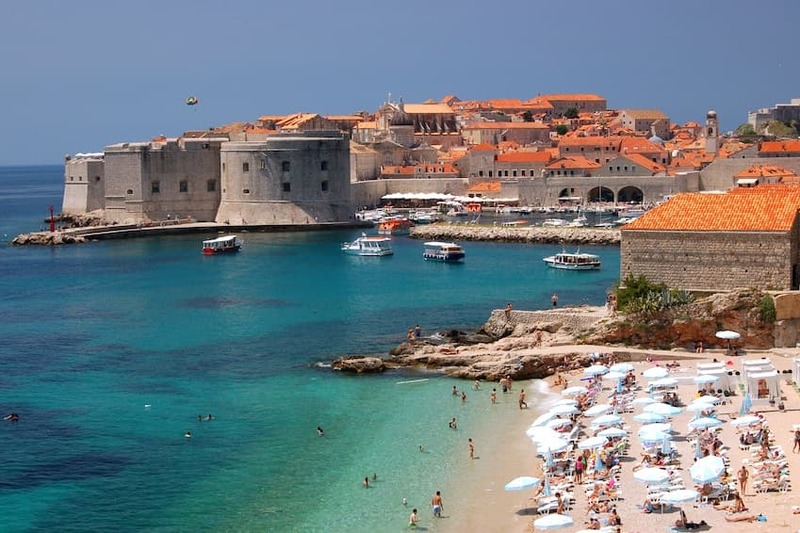 There is more than enough to keep you occupied and capture your imagination inside the city of Dubrovnik, there are many beautiful trips to be had. Trsteno Arboretum, 18 km outside of the city, is the place where all lovers of botany should visit, as well as Game of Thrones fans, as it stands in the gardens of King's Landing! Incredibly, the renaissance gardens go back as far as the 1400s, and host a vibrant variety of fauna such as cacti, banana and plane trees, lavender and rosemary, all bursting up around the ruins and sculptures of an old olive press. The gardens are right next to the ocean, providing good wonderful picture Opportunities of ocean life and ocean blues in one frame. For those who are willing to travel a few hours outside of Dubrovnik, a day trip to Mostar is well worth the journey. The UNESCO World Heritage Site of the Stari Most bridge is the undeniable highlight, a breathtakingly photogenic bridge over the Neretva River teal. Unbelievably, many thrill-seekers jump from the top of this bridge from a height of 24 meters! There are Many restaurants here, and local markets selling delicious foods and interesting wares, Such As the old bazaar Kujundziluk, and steam rooms and historic mosques to admire. You'll leave with many special memories!